Mihee Kim-Kort (February 2016). Posted in 21stCenturyCulture, 21stCenturyMinistry, DigitalMinistry. The first time I saw a woman preach from the pulpit was in seminary. I grew up in a traditional Presbyterian church made up of Korean immigrants and their children. The leaders of the church were all Korean men, along with one African American man. The pastor, youth leaders, and teachers were always male. Meanwhile, women taught Sunday School to the children and took charge of the fellowship lunch every Sunday. Needless to say, my world was shaped by these rigid gender roles—both overt and implicit. It therefore was a wonderful shock to hear Dr. Nancy Lammers-Gross, a practical theology professor at Princeton Theological Seminary, preach at opening convocation my first year in seminary. Her presence was compelling, and her voice was strong. People laughed at all the right times, and when she quieted her voice, you felt the air disappear as everyone seemed to hold their breath all at once. As she arrived at the turning point in the sermon, an undeniable wave rippled through the chapel—a mixture of relief and fulfillment that only comes from participating in a cathartic preaching moment. I was amazed by the fact that she seemed so comfortable in the pulpit, as if she was always meant to be there. I wondered if I would ever feel that way. The first time I saw a woman of color preach from the pulpit was during Lent, later in seminary. During a Good Friday service built around the 7 Last Words of Jesus, a different person preached on each of Jesus’s seven final words. Unfortunately, I cannot recall the individual preachers’ names—partially because the service took place many years ago, and partially because their work as a collective completely captured my imagination. But I do remember that all of them were African American, and one of them was a woman. As she spoke, I felt a resonance that was similar to what I had experienced when listening to Professor Lammers-Gross preach. Specifically, I encountered a soulfulness and a rich embodiment of the Gospel that seemed to touch hungry corners of my faith that I hadn’t even known existed until that moment. I found myself leaning forward in the pew, drinking in every syllable and sound, every moment and movement, and joining in naturally with the litany and call-and-response that erupted around me. It looked as if the pulpit was made for her. The way she swayed and rocked, the way she sang and whispered: clearly, she was meant to regularly open up a door to “thin places” with her words. Such memories arise frequently these days. Now that it’s been over ten years since my own ordination—me: a woman; a woman of color—I find myself thinking back to the moments that have shaped my vocational identity. Seeing and hearing women preach in the pulpit are powerful experiences that constantly stay with me, not so much as models to replicate but as reminders that the very real voices and bodies of women are needed to shatter the status quo. For those of us who came into ministry when it was just becoming “normal” for a woman to be in the pulpit, the physical presence and voices of those who made it possible have served as templates for our own vocations. But more than words and images, we are moved by their stories. Even as we take our places within “the new normal” of a Church that is being enriched by greater clergy diversity, we still need stories to push against what’s normative—what’s rigid, stagnant, and lifeless—because the struggle for equality and justice is not fully won. Stories influence who I am as a minister, and how I practice that ministry. Indeed, when it comes to my spiritual and vocational formation, the life stories that I encounter on a daily basis (both my own, as well as those of other people) are just as significant as my childhood days or my formal preparation for ministry. Certainly, the church of my youth continues to serve not only as the source of a faith that sustains in the midst of the wilderness, but also as a refuge for displaced and diasporic lives. Clearly, the lessons of seminary and my early years in ministry continue to yield insight and wisdom. But the ways in which we are creating stories in the here and now—in the age of New Media—also shape my understanding of Church, ministry, and my identity as an ordained ministry leader. Take, for example, the conversations around the hashtags #whychristian and #whychurch that emerged on Twitter this past autumn. I remembered why I fell in love, and what captured my soul about church. I thought to myself, “Yes, of course, I’m staying, I’m not going anywhere.” Because not only do I need church . . . the church needs me. Because not only do I need church . . . the church needs me. The church needs all of me. All of my failures and flaws, all of my baggage, even all of my struggles with ego and privilege because that’s where the transformation happens—in the midst of flesh-and-blood, brutal vulnerability and weakness. It happens in the woods and in the delivery room, yes, but most certainly, it was meant to happen in community, in the sanctuary, in the light of the candles, around the font and the table. #realclergybios began, at least in my part, as a tongue-in-cheek subversion of normative expectations of clergy. But very quickly the hashtag became a confessional space, clergy separated by polity and doctrine sharing common joys, griefs, and absurdities that only arise in the context of our bizarre (and beautiful) vocation. Every week at Communion, I remind my church that the table is set by God and we find ourselves feasting alongside strangers who are our family. Imagine my surprise, when I opened up Twitter and discovered that same truth in 140 characters or less. This is a charge on my life. 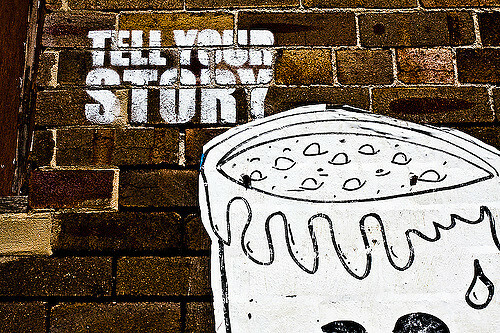 No matter what I’m doing, or where I am, or in what space I minister—online, offline, or the digitally-integrated in between that is increasingly our reality—I am called to connect to all sorts of people and possibilities, so that I can be an arbiter of good stories. While these stories certainly will include elements from my own life, with its traditions and innovations, its past memories and present-day experiences and dreams about the future, they necessarily will form in community with others. After all, we are living in an interconnected world that is vastly larger than it was years ago, when seeing one woman preacher, one African American or Asian or LGBT preacher on the Princeton Seminary campus was like spotting a unicorn. The hashtags that have periodically burst forth on Twitter—and then spread across the social media landscape via Facebook, Instagram, Pinterest, and the like—express the questions, passions, concerns, joys, and hopes of ordinary people throughout the global Church. They turn all of us, laity and clergy alike, into storymakers. They allow us to collectively curate and cultivate stories that will shape our identities and our work together in the world. Thankfully, these stories aren’t experienced in a void and in isolation. As the Church, we will always write them together. That’s no small part of #whychurch for me. And I can’t wait to hear your #whychurch story. Mihee Kim-Kort is a Presbyterian minister, wife to another Presbyterian minister and mother of three. 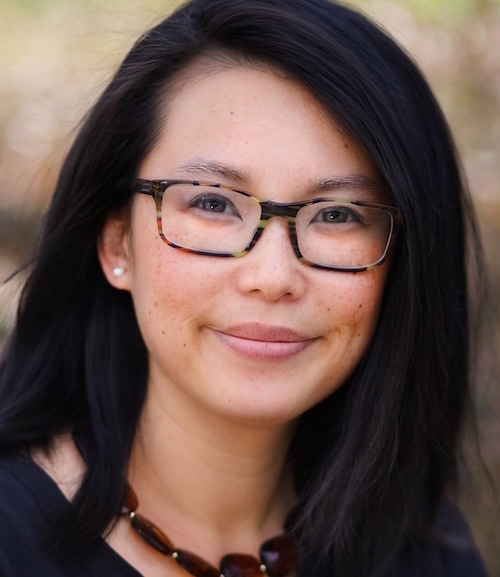 She is the creator of the podcast This Everyday Holy and the author of three books: Making Paper Cranes: Toward an Asian American Feminist Theology, Streams Run Uphill: Conversations with Young Clergywomen of Color, and Yoked: Stories of a Clergy Couple in Marriage, Family, and Ministry. Mihee and her family live in Bloomington, IN. Follow her on Twitter @miheekimkort. Cover: Michael Shaheen, “Some Stories Can’t Be Told in Words,” October 2, 2013. Via Flickr. Licensed under Creative Commons CC BY-NC-ND 2.0. Inside: Wade M., “Tell Your Story,” September 28, 2008. Via Flickr. Licensed under Creative Commons CC BY-SA 2.0.